Dr. Philippe Séguéla is Full Professor in the department of Neurology & Neurosurgery of McGill University in Montreal. Trained in France, Canada and the US, his research laboratory is located at the world-renowned Montreal Neurological Institute. His work primarily focuses on the physiology of sensory ion channels expressed in genetically-defined neurons at the source of somatosensation and pain perception. His team uses a multidisciplinary functional approach based on transgenic mouse models, in vivo optogenetics, chemogenetics, calcium imaging, electrophysiology and quantitative behavioural assays to investigate the molecular substrates of pain in peripheral and cortical pathways. This presentation will articulate around novel insights on the coding of somatosensory modalities by primary nociceptors gained from their selective activation in vivo in freely behaving animals. 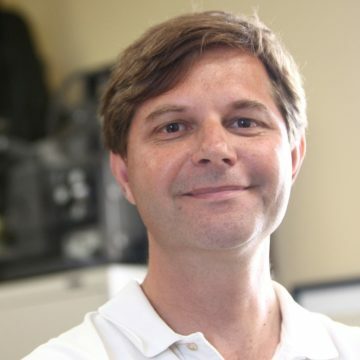 The long-term goal of Dr. Séguéla’s team and their collaborators is to contribute to the understanding of key pathological mechanisms underlying the somatosensory, affective and cognitive deficits induced by chronic pain conditions, in search for novel tractable drug targets and effective analgesic treatments without the side effects of opioids.